Choose the 7 Nights Bahia Mar Club and Anantara Bazaruto Island Resort & Spa Itinerary and save up to 20% on your Mozambique holidays this year! This itinerary will see you having the time of your life on the most gorgeous beaches and cocooned in luxury in some of the finest hotels on the Mozambican coast. 20 years of marriage is worth celebrating in style, and with this great itinerary, you can’t go wrong! Reignite the spark with 7 magical nights ofunadulterated bliss in two lovely settings where time slows down to a sensualrhythm.Newlyweds can also book this fantastic combo package, which promises romance and a lifetime of memories. 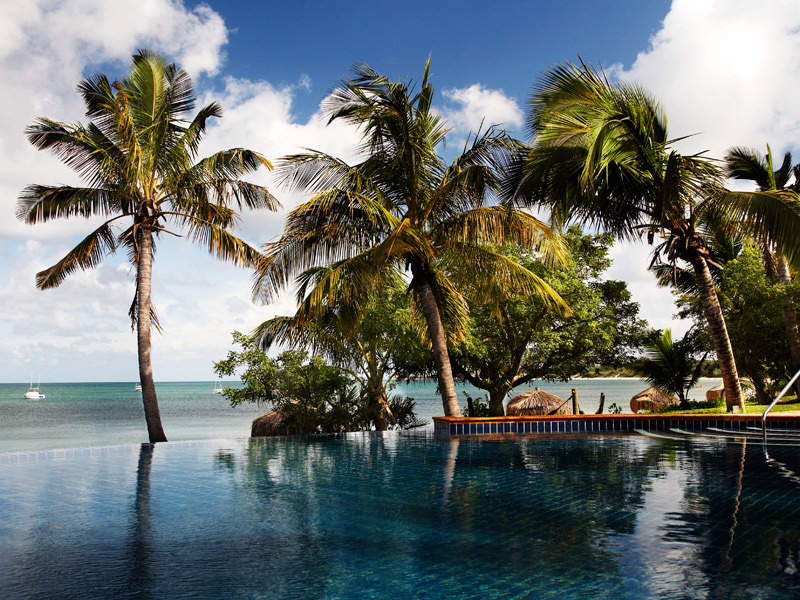 Day 1: A 3.5 hour flight from Johannesburg OR Tambo Airport to Vilanculos marks the start of your 7 Nights Bahia Mar Club and Anantara Bazaruto Island Resort & Spa Itinerary. You can fly with Air Mozambique or SA Airlink(Note that SA Airlink does not fly on a Thursday and a Sunday). On arrival, a Bahia Mar Club representative will transfer you to the lodge where friendly service, great food, wonderful facilities and a sublime setting combine to make a dreamy haven that will make you forget the pressures of your daily routine. You will be booked for 3 nights on a bed and breakfast basis enjoying the personalized service and mod cons that the hotel is renowned for. The hotel’s beachfront location affords guests access to watersports such as diving, snorkeling and other activities. This Mozambique accommodation will impress you with its elegantly-appointed interiors and rooms that can be mixed and matched to suit every guest’s requirements – from couples, small families to larger groups of people traveling together. Amenities including air conditioning, minibars, internet access and hairdryers come standard with each room. There is a Sea View Bedroom with en-suite shower and large veranda with comfy day beds. 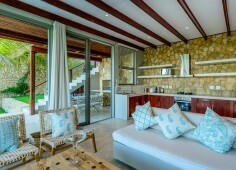 Another option is the Beach Luxury Suite, which is a pied-à-terre luxury self-catering unit. 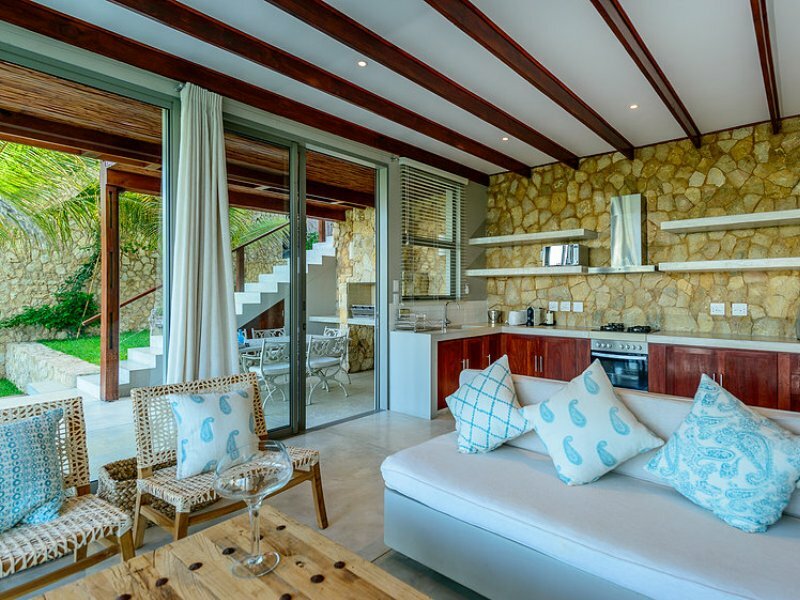 This comes with its own plunge pool, flatscreen TV, private braai facilities, kitchen as well as an outdoor shower. Other room types include the Beach Family unit with 2 bedrooms and a pied-à-terre luxury suite plus the sumptuous Presidential Suite. Choose to do as little or as much as you like at Bahia Mar. Lose yourself in your own thoughts in the Zen meditation garden or head to the spa and let supple hands work their magic on your strained body from their menu of treatments and massages. Day 4: You will reluctantly bid farewell to Bahia Mar Club and be transferred to the Jetty where your Anantara representative will be waiting to take you on a 45 minute transfer to the island. Here, you can let loose and make merry with no restraint since your 4 nights are on a fully inclusive basis. 5-star service and facilities are what you can expect during your stay at this little slice of paradise floating in the Indian Ocean. Accommodation is encompassed in a choice of 44 luxury villas that are elegantly decorated and equipped with contemporary amenities including air conditioning, satellite TVs and mini bars. Each villa is tactfully positioned for privacy and features a private wooden deck from which to absorb the spectacular sea views. Day 8: You will be transferred to the mainland and to the airport for your flight back to Johannesburg. Return flights from Johannesburg with LAM/SA Airlink. Island activities, Crocodile Lake and island drive, Paradise Island cruise, Pansy Island cruise, sunset cruise, fishing, snorkeling, diving, dune boarding, horse riding, spa treatments. Book from the specialist tour operator with expert consultants who have traveled to all the properties we sell. We aim to please and promise to deliver unparalleled service to all our clients. Now stop waiting on the fence and book the 7 Nights Bahia Mar Club and AnantaraBazaruto Island Resort & Spa itinerary today.